The Advisory Council for Bosnia and Herzegovina (ACBH) welcomes the decision of the International Criminal Tribunal for the former Yugoslavia (ICTY) in ruling that Ratko Mladic, former Bosnian Serb general, committed genocide in Srebrenica against its non-Serb population and was also found guilty of five counts of crimes against humanity and four counts of violations of the laws or customs of war, such as murder and attacks on civilians and the taking of hostages. He was sentenced to life in prison. "For the victims of genocide, aggression and war crimes in Bosnia and Herzegovina, justice can never be fulfilled; however, Mladic's verdict, along with Karadzic's and others', sends a message that those who commit war crimes will stand before a court of law. Further, this verdict provides more than enough material to accurately define who played what role during the aggression on Bosnia and Herzegovina. ACBH is grateful to the United States and its military, as well as all foreign governments, judges, attorneys, human rights activists, and friends of Bosnia and Herzegovina who worked tirelessly for many years to not only capture Ratko Mladic, but also ensure that he was brought to justice," stated ACBH Chairman, Adnan Hadrovic. ACBH highlights disappointment that the Trial Chamber acquitted Mladic of one count of genocide for crimes committed in municipalities outside of Srebrenica, even though it found that the perpetrators committed those crimes with the intent to destroy Bosnian Muslims in those locations as part of a protected group. "These municipalities are sites of some of the most heinous crimes committed during the war of aggression on Bosnia and Herzegovina, and we urge the prosecution to consider the Chamber's reasoning on this issue closely and bring any appeal proceedings as appropriate," stated Adisada Dudic Hoque, ACBH's Legal Adviser and Srebrenica Genocide survivor. However, we note that the Trial Chamber did find that these crimes constitute crimes against humanity and war crimes for which Mladic bears responsibility. Since Bosnia and Herzegovina declared its independence from the Socialist Federal Republic of Yugoslavia in 1992, it has faced some of the greatest challenges seen in Europe since World War II. The genocidal campaign that was carried out by Mladic and others left over 100,000 dead, over 2 million displaced and over 20,000 Bosniak (Bosnian Muslim) women and girls victims of sexual violence. The Serb forces, at the command of Ratko Mladic, ethnically cleansed the overwhelming majority of the non-Serb population from what is now Republika Srpska (RS) - Bosnia and Herzegovina's smaller entity. Known as the "Butcher of Bosnia," Mladic served in the Yugoslav Army and was then appointed as the Commander of the Main Staff of the Bosnian Serb Army in 1992, at the beginning of the war of aggression against Bosnia and Herzegovina. 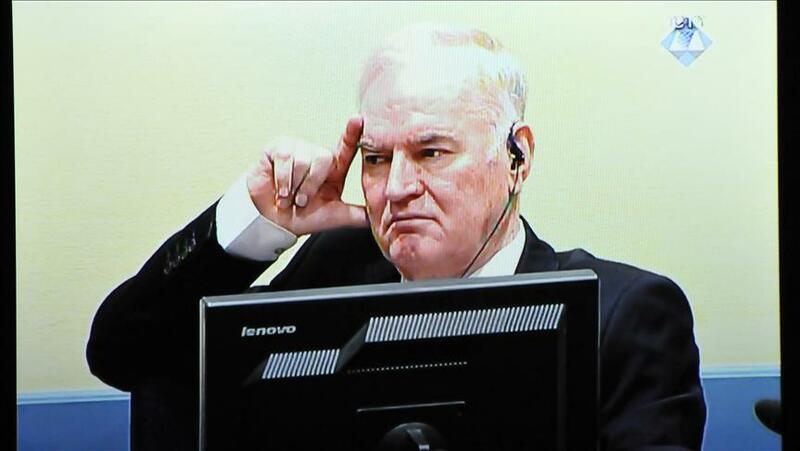 Mladic evaded capture for over fourteen years in Serbia, and is believed to have been protected by allies in the military and Serbia's intelligence services. He was finally arrested in 2011 in Lazarevo, Serbia, and transferred to the ICTY - a UN court of law established in 1993 to prosecute war crimes that took place during the conflicts in the Balkans in the 1990s. His capture was a precondition for Serbia in the ongoing EU accession process. While justice is an essential path towards peace and prosperity, ACBH is also reminded of the continuing struggle of Bosnia and Herzegovina's non-Serb returnee population and the culture of genocide denial that resonates across Bosnia and Herzegovina's smaller entity, Republika Srpska. "The Mladic verdict is a historical act and its importance is unquestionable, especially since genocide denial remains persistent and the number of survivors is getting smaller and smaller. The facts and evidence presented during the trial have shown Mladic's guilt, as well as the guilt of Serbia and Bosnia's smaller entity, RS. We believe in the truth and it is with the truth that we will continue to fight against genocide denial and the revision of history," stated Munira Subasic, President of the Movement of Mothers of Srebrenica and Zepa Enclaves. After the ICTY issued its verdict earlier today, Mladen Ivanic Bosnian Serb member of the Presidency of Bosnia and Herzegovina, stated that we must not give up support for Mladic. Echoing his sentiments, Milorad Dodik President of Bosnia and Herzegovina's smaller entity, stated that Mladic is a Serb legend who helped create Republika Srpska. Further, and equally concerning was the statement by Serbia's President Aleksandar Vucic who failed to condemn Mladic, especially since he advocated that a street in Serbia be named after Mladic only ten years ago. The aforementioned views only reinforce and embolden hate among people in Bosnia and Herzegovina and do little for any hope of reconciliation.